Search "mother gift" 59 results have been found. 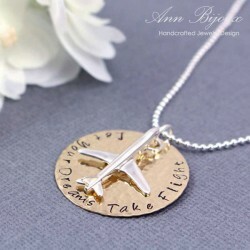 Material : Sterling Silver Charm, Sterling Silver Chain, Brass Disc * How to order * 1. Please select the chain length from the drop down list. 2. Please type the letters in Product Customization below, If you want to change message. If you want to order same as picture, You don't need to do it. The Product Customization is at the bottom. 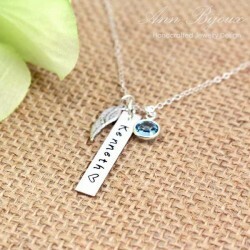 Material : Sterling Silver Discs, Sterling Silver Chain, Swarovski Birthstone * How to order * 1. Please select length & number of disc from the drop down list. 2. Please type initial in Product Customization below. ( ex : S ) The Product Customization is at the bottom. Material : Sterling Silver Disc, Sterling Silver Heart Charm, Sterling Silver Chain, All Sterling Silver Elements * How to order * 1. Please select length & number of disc from the drop down list. 2. Please type a initial in Product Customization below. ( ex : S ) The Product Customization is at the bottom. 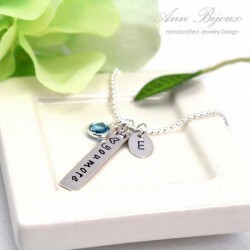 Material : Sterling Silver Disc, Sterling Silver Charm, Sterling Silver Ball Chain, Swarovski Birthstone * How to order * 1. Please select length & number of disc from the drop down list. 2. 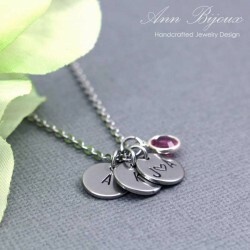 Please type the initial & birthstone color in Product Customization below. ( ex : S - Crystal ) The Product Customization is at the bottom. Materials: Sterling Silver Disc, Sterling Silver Washer, Sterling Silver Cable Chain, Swarovski Crystal Birthstone * How to order * 1. Please select length & birthstone from the drop down list. 2. Please type a initial in Product Customization below. ( ex : S ) The Product Customization is at the bottom. 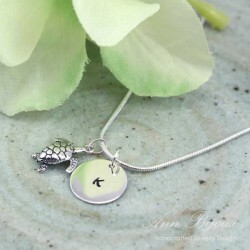 Materials: Sterling Silver Disc, Sterling Silver Charm, Sterling Silver Snake Chain, Sterling Silver Element * How to order * 1. Please select length from the drop down list. 2. Please type a initial in Product Customization below. ( ex : K ) The Product Customization is at the bottom. 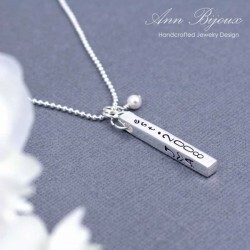 Materials: Sterling Silver Bar, Sterling Silver Cable Chain, Sterling Silver Charm, All Sterling Silver Element, Swarovski Birthstone * How to order * 1. Please select number of bar & length from the drop down list. 2. Please type name in Product Customization below. ( ex : Kenneth ) The Product Customization is at the bottom. Materials: Sterling Silver Snake Chain, Sterling Silver Disc, Sterling Silver Element, Swarovski Birthstone * How to order * 1. Please select length & number of disc from the drop down list. 2. Please type initial in Product Customization below. ( ex : K ) The Product Customization is at the bottom. 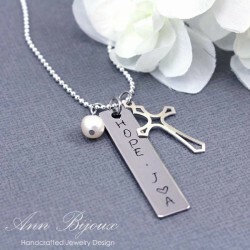 Material : Sterling Silver Bar, Sterling Silver Disc, Sterling Silver Ball Chain, Swarovski Birthstone * How to order * 1. Please select length & number of disc from the drop down list. 2. 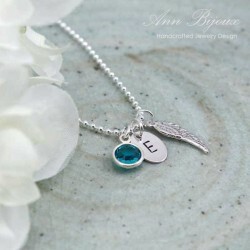 Please type initial & birthstone color in Product Customization below. ( ex : K, Aquamarine ) The Product Customization is at the bottom.